In need of some time out, time to yourself? Deep relaxation or reconnecting to your inner self? Or simply want to have someone talk you through meditation, and prop you into deliciously comfortable restorative yoga poses surrounded by candles and soft music? Come join our pre-Christmas chillout class! I will take you through various meditation techniques, supported poses held for long enough periods for body and mind to deeply relax as well as a 40 minute guided deep relaxation. Bring a blanket, two matching pillows/cushions and prepare to drift off into deep physical and mental relaxation before the height of the holiday season takes hold! 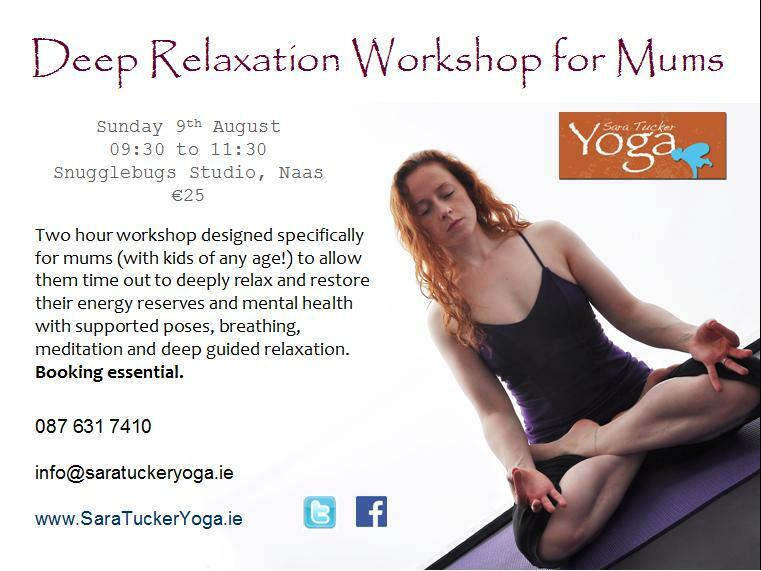 €20 - all welcome, no previous yoga experience required. Places must be booked in advance as min. and max. numbers apply. Contact me to book or enquire. With Mother's Day coming up soon, this is a workshop open to any and all mums, new mums, mums of one or many children, mums of mums, mums of grown up children. Being a mum with kids of any age brings as much stress as it does deep-rooted love. While it can be the most wonderful role in the world, there's no denying it can take its toll at times - and we all need to unplug and reboot sometimes. A workshop like this does just that. 90-120 minutes of restorative, supported, relaxation poses, deep breathing, plenty of cushions and pillows and blankets, some meditation, some time out, some deep physical relaxation. 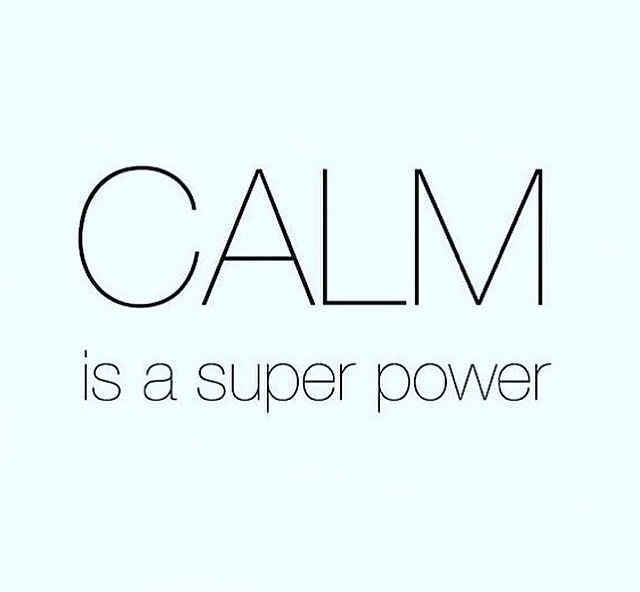 Tension will melt away and you begin to peel back the layers and reconnect with your self and your inner calm. Each pose is held for at least 10 minutes to allow the relaxation response to kick in and the stress-related sympathetic nervous system begin to calm. I feel relaxed just thinking about it! This workshop will be donation-based. All monies collected will be donated to the wonderful charity Nurture that supports Women’s Mental Health around the area of depression in pregnancy, fertility issues, post-natal depression and grief. Services are affordable and accessible, with a No Wait List policy. Looking to improve your chances of conceiving? Want to help manage the physical and emotional rollercoaster of fertility treatments? 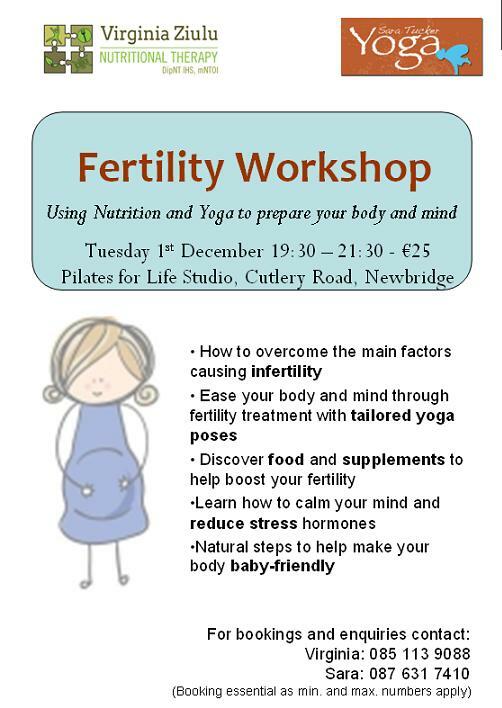 This workshop blends focussed nutrition and supplement advice with yoga techniques and poses to gently and naturally promote fertility. Booking essential as min. and max. numbers apply. For booking or enquiries contact me or Nutritional Therapist Virginia. 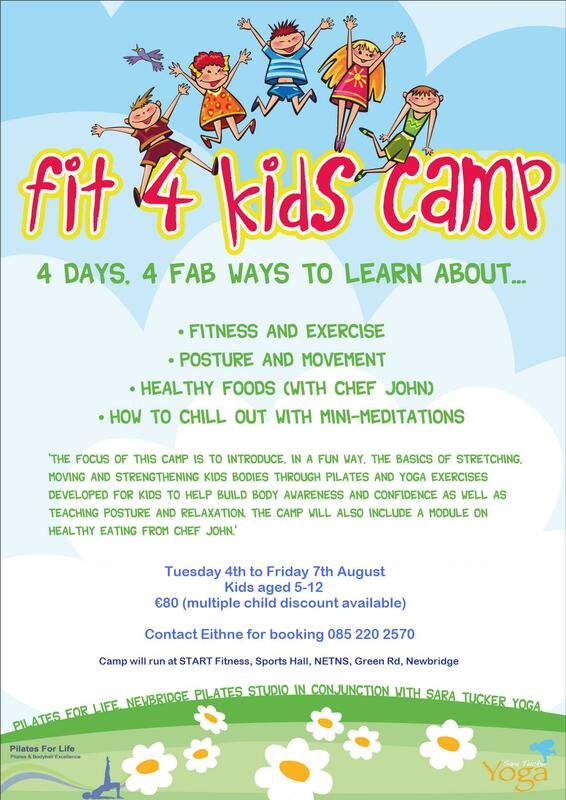 Your kids will go through a variety of exercises to learn about movement, balance, good posture and to have fun and explore what they can do. They'll make pancakes and healthy smoothies, learn about fueling healthy fit bodies and how to chill out, breathe and relax too.